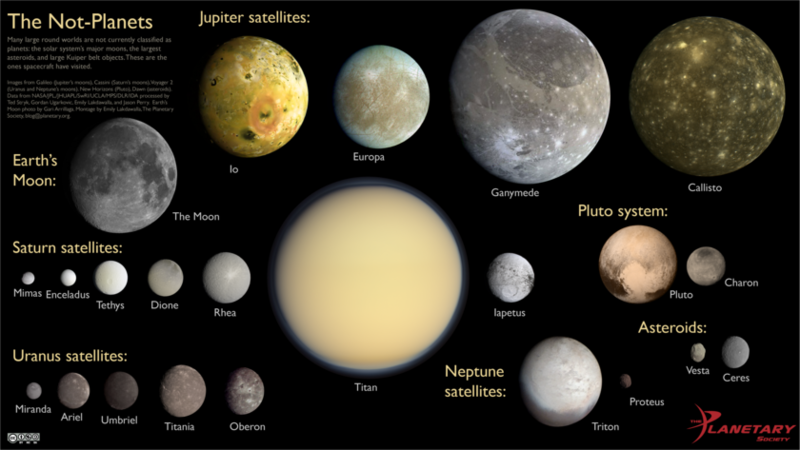 Why I am perfectly fine with not calling Pluto a "planet"
The solar system is a much more interesting, complicated place if we throw out the classical "Solar System has 9 planets" model we learned in grade school. And Pluto is just as special. In science, the term "planet" is no longer useful. It's too vague and general. The term goes back thousands of years to a time when the visible objects in our own solar system were lumped in with the stars. They only difference between "planets" and stars, as far as our ancestors could tell, is planets didn't orbit around the Earth once a day in a fixed position relative to one another; instead, they wandered throughout the constellations in patterns, that with time, were predictable, but weird. "Planet" just means "wanderer." Eventually we figured out that the worlds we called "planets" were going around the sun, just like Earth, but even at that point, there were only six official planets. Then there were seven (Uranus). Then there were eight (Neptune). Pluto was discovered in 1930. For decades, Pluto was the oddball of the solar system. A tiny rock floating out beyond the orbit of four gas giants--Jupiter, Saturn, Uranus, and Nepture. All the other "terrestrial worlds" (meaning balls of rock) were in the inner solar system: Mercury, Venus, Earth, and Mars. One other rock ball that was once beyond Mars was crushed to smithereens by Jupiter's gravity and became the asteroid belt. Plus, Pluto's not even in "the plane of the ecliptic." If you think of the solar system in three dimensions (x, y and z), most of the classical planets have a different distance from sun and rotation (x and y) from each other, but they each share the same z axis. Look at the solar system on its side, and their orbits line up in a straight line. Pluto rotates at an extreme angle relative to the plane of the ecliptic. None of these facts are in and of themselves reasons to kick Pluto out of the planet club, however. 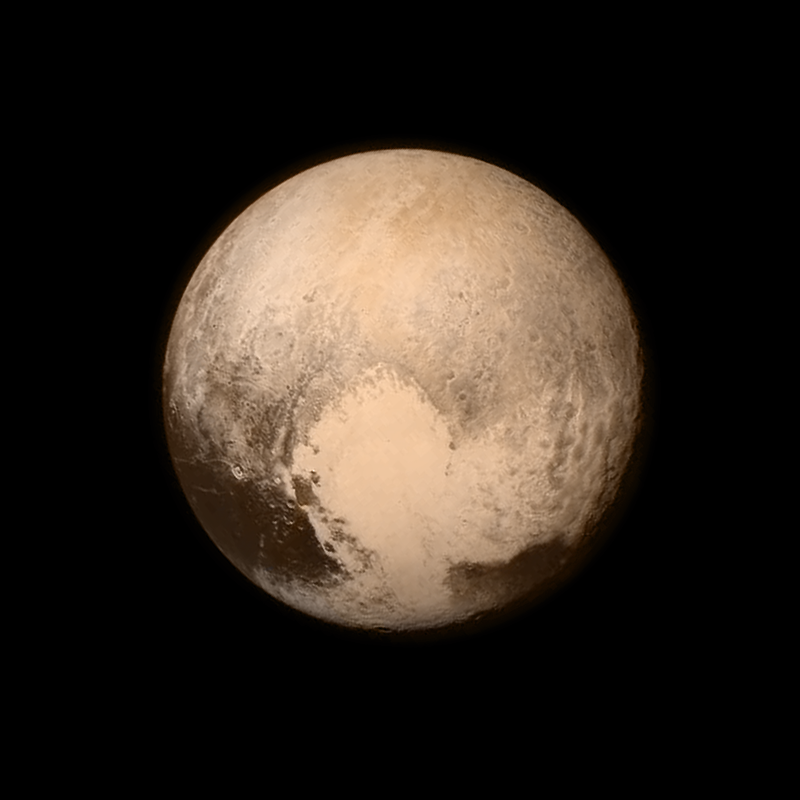 And it is partly Pluto's small, oddball status that made it so dear to many people's hearts. It was the underdog of the solar system. Children especially love it. But the classical model of the solar system Pluto emerged in is outdated and oversimplistic. 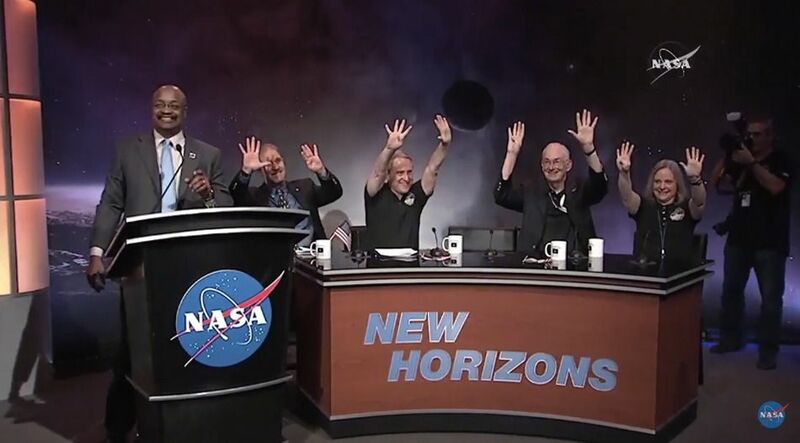 If we define "planet" as any body of a given size that orbits the sun, then there are at least 13 planets in the solar system, and Pluto is not number 9 in distance (so put down those hands, 9-finger Pluto saluters). It's number 10. 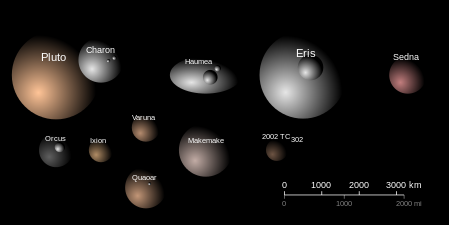 The others, besides the ones we learned about in primary school, are Ceres, Eris, MakeMake, and Haumea, the so-called "Dwarf Planets" (let's throw that term out, too). 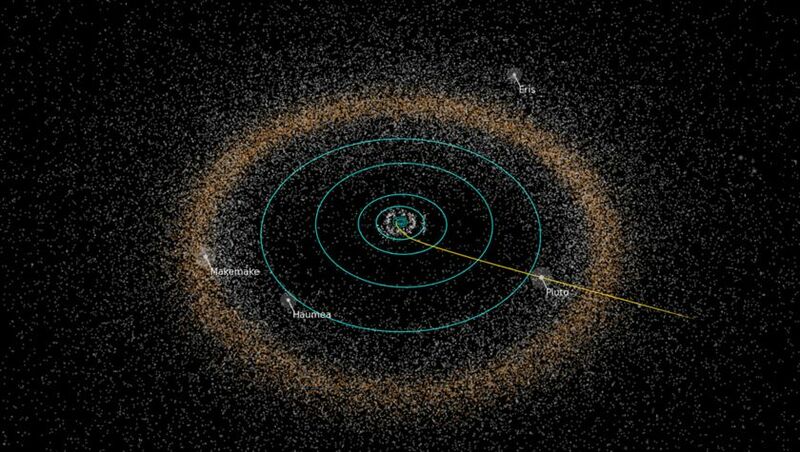 Once we understand Pluto is a world in the Kuiper Belt, it's no longer an odd ball. It's quite at home, thank you very much, surrounded by thousands of similar worlds. So why not just say all the Kuiper Belt and Scattered Disc objects are planets, too? Well, if we did, the number of known "planets" balloons to close to 3,000 plus. And if eliminate all the non-spheres to get the number down, we eliminate equally massive worlds like Hauma, simply because it isn't spherical (it's an oval). To hang on to the term "planet", we have to draw the line somewhere. But to do that, we'd have to pick some arbitrary amount of sphericity (no world is completely spherical) and an arbitrary size cut-off. The term "planet" has very little scientific utility. The most useful way to use the term is as a colloquial synonym for "world", in which case even our moon is a planet. It is time to throw out the simplistic model of a solar system, ANY solar system, that defines it as "a certain number of 'planets' revolving around one or more stars." Solar systems, we are discovering from our own and other systems, have objects of all sizes and compositions: asteroids, comets, rings, dust, solar wind, and systems-within-systems, such as the dozens of moons that orbit Jupiter, or Pluto and its five moons. So why can't we just say a planet is a body that has moons? Because even asteroids can have moons. One flew by Earth recently. And Venus and Mercury have no moons. A much more interesting, accurate model of our solar system has at least five "regions". The terrestrial spheres, the asteroid belt, the gas giants, the Edgeworth-Kuiper Belt, and the Scattered Disc (and possibly six, if you count the theoretical Oort Cloud, a giant donut orbiting our solar system at one light year's distance, allegedly the origin point of long-period comets). In this model, Pluto is rightly classified as the King Kuiper Belt Object, the biggest known KBO. It has a close second in Eris, which was thought for quite a while to be bigger than Pluto because it's so much more dense (more rock than Pluto, which is 30% ice). In this model, Pluto is special again*. * Unless you're one of those people who resist this suggestion because their objection to Pluto's "demotion" is based strictly on anxiety caused by "Elementary school LIED TO ME!" They just want there to be nine planets. They don't actually give a hoot about The Plute. I am going to post it to my other blog, which will cross post to my facebook page, and then you can share that.